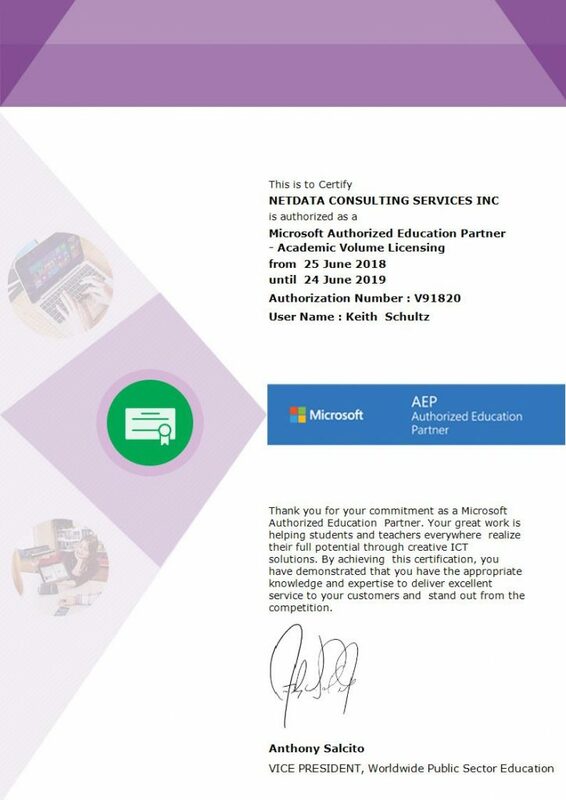 We are pleased to announce that Microsoft has once again recognized NetData Consulting Services as a AEP Authorized Education Partner. NetData is proud to be part of providing Microsoft products at low or no cost to educational institutions. Thank you for your commitment as a Microsoft Authorized Education Partner. Your great work is helping students and teachers everywhere realize their full potential through creative ICT solutions. By achieving this certification, you have demonstrated that you have the appropriate knowledge and expertise to deliver excellent service to your customers and stand out from the competition. 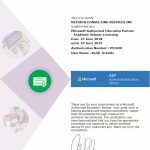 This is the third year that NetData Consulting Services has been recognized as a Microsoft Authorized Education Partner. If you or your organization would like any information about Microsoft products for education, please reach out to us for more information. PreviousPrevious post:Phishing for fun and profitNextNext post:October Windows 10 update – trick or treat?